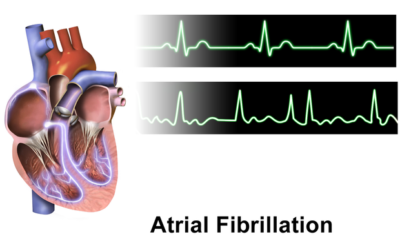 Regularly monitor renal function: Patients with atrial fibrillation face a high risk of kidney disease, and many atrial fibrillation patients have other risk factors that promote kidney function decline, such as advanced age, diabetes and hypertension. Physicians should regularly monitor renal function, make efforts to prevent and slow renal function decline, and adjust drug dosage according to renal function. For example, all NOACs rely on kidney for drug elimination, and they may require dose reduction when the kidney function decline to a certain extent. Response: Our study is an observational study, and future randomized trials are needed to confirm our findings. Response: For some patients, NOAC may have a higher cost than warfarin, and the high cost could be a barrier to long-term adherence. Physicians should discuss the risk, benefit and cost with patients, and together make a decision most suitable for an individual patient. This entry was posted in Author Interviews, Heart Disease, JACC, Kidney Disease, Mayo Clinic and tagged a fib, Atrial fibrillation, kidney disease, NOACs, warfarin by Marie Benz MD FAAD. Bookmark the permalink.